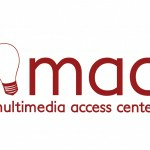 Next week is Facebook Week at the MAC Lab! Every day from 12:30 pm – 1:00 pm, we’ll be exploring a different Facebook-related topic. Once the session is complete, you can view/download the presentation.